Saudi Arabian Airlines suspending flights to and from Toronto amid diplomatic row with Canada. 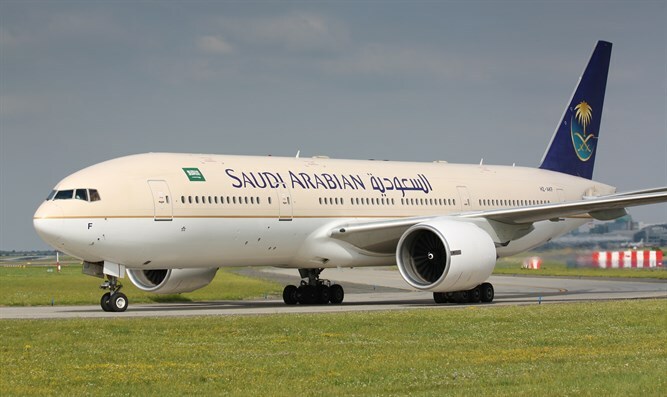 Saudi Arabian Airlines announced on Monday that it would be suspending flights to and from Toronto amid the kingdom’s diplomatic row with Canada. The airline, which is also known as Saudia, added that any canceled tickets will be accepted with no cancellation charges to be applied. It added in a statement that it will make all efforts to find solutions for passengers who have booked flights to or from Canada. The airline’s announcement came 24 hours after Saudi Arabia said it had suspended new trade and investment with Canada after the Canadian foreign ministry urged Riyadh to release arrested civil rights activists. The kingdom also gave the Canadian ambassador 24 hours to leave the country and recalled its own ambassador to Canada. The Saudi move came two days after Global Affairs Canada issued a statement criticizing the arrest of Samar Badawi, the sister of jailed blogger Raif Badawi. Samar Badawi is the sister-in-law of Raif Badawi’s wife Ensaf Haidar, who lives in Canada and recently became a Canadian citizen. Raif Badawi is serving a 10-year sentence after being convicted of insulting Islam and breaking Saudi Arabia's technology laws with his liberal blog. He also was sentenced to 1,000 lashes, spread over 20 installments, and fined $266,000. Saudi Arabia's supreme court in 2015 upheld the sentence against Badawi, who ran a website called Free Saudi Liberals and has been in custody since 2012.